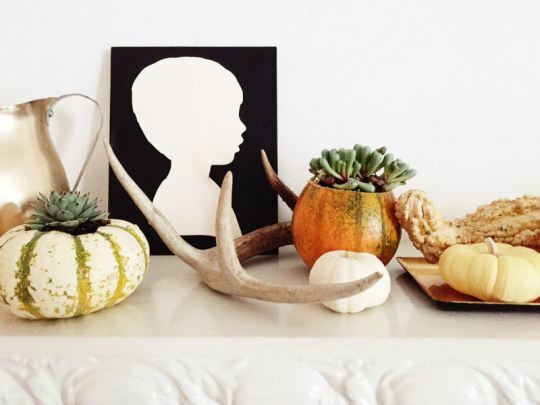 If you follow me on instagram you saw I was busy making some fun fall goodies over the weekend. 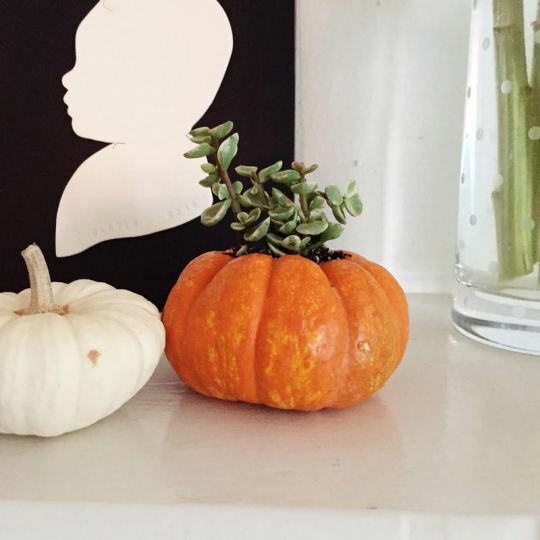 These DIY succulent pumpkins combine two of my favorite things: succulents and cute mini pumpkins. 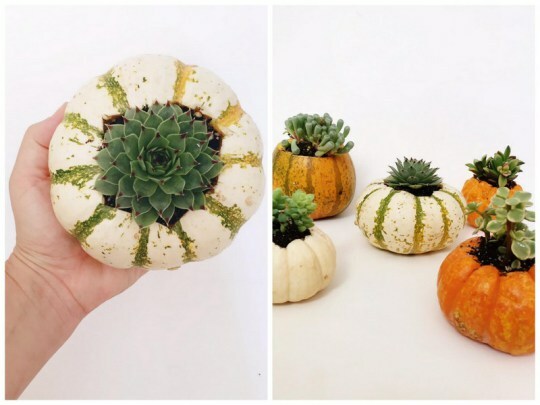 They are so easy to make, look fancier than just displaying mini pumpkins, make for great fall decor, and are also great for gifting! I made all of these while my older son and my husband carved a jack-o-lantern. 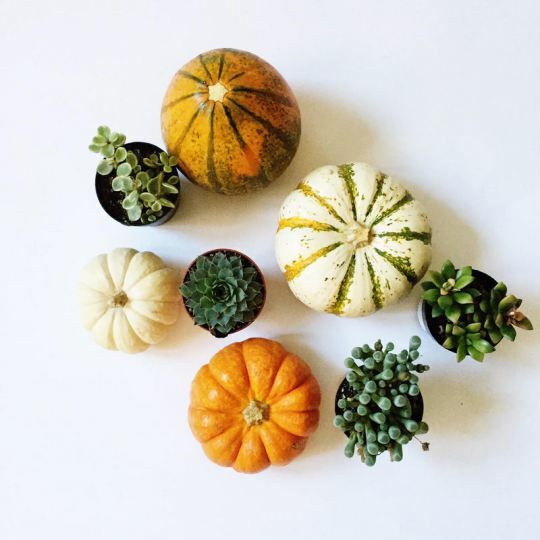 As with carving a regular size pumpkin, cut the top off of the mini pumpkin or gourd with a paring knife. I tried a variety of sizes and found a small but sharp paring knife to work best, and feel the safest. Once you've cut the top off, scoop out most of the guts of the pumpkin. 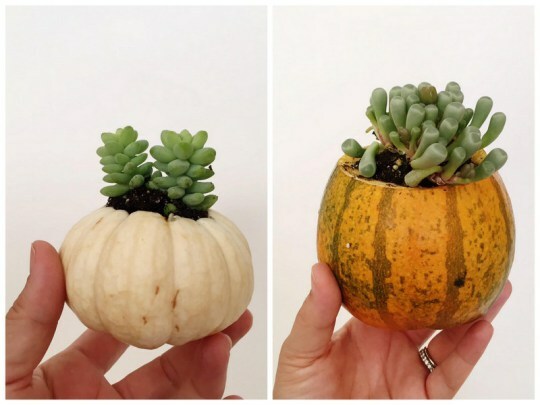 Choose one of your succulents and plant it inside the empty pumpkin. 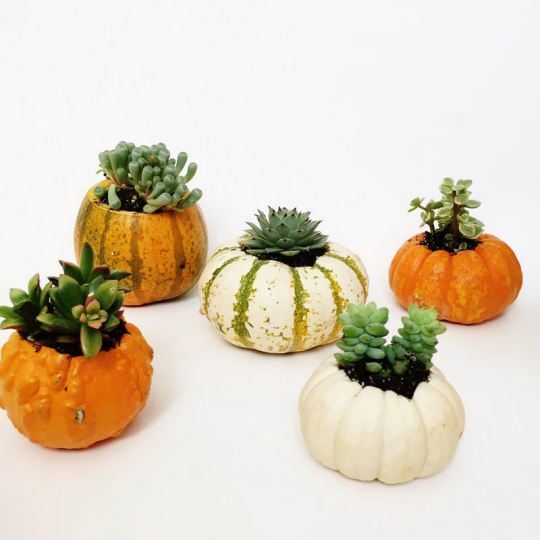 I found that the dirt that came with the plant was enough to fill the pumpkins, but if you choose a larger one you may need more. 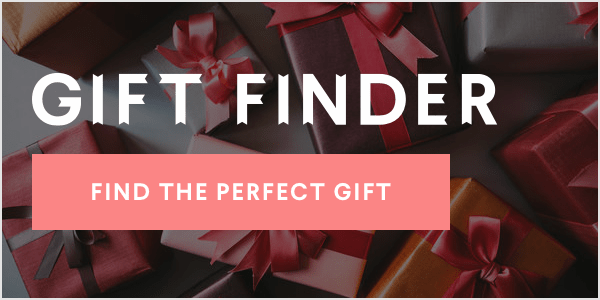 Display, gift, and enjoy! They are seriously that simple. Don't you love!? 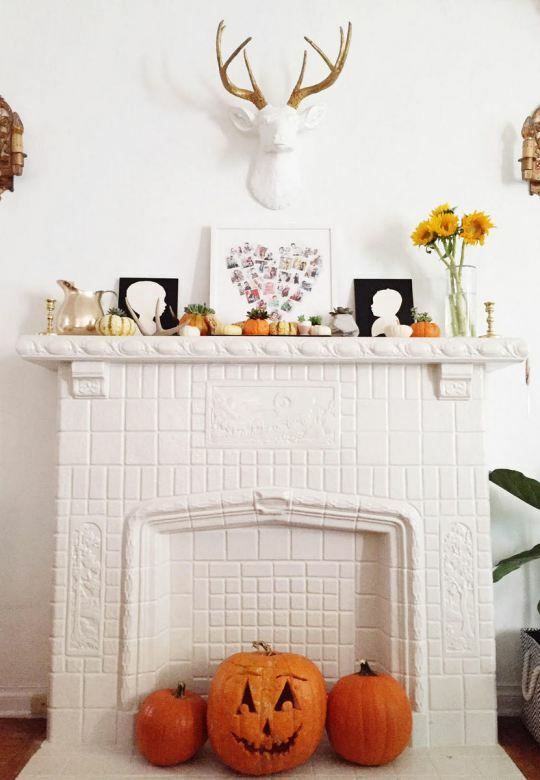 These are my new go-to decor for fall. I think I love them as much, or maybe more, than my bottle brush tree snow globes that are my Christmas DIY go-to! I'd love to see these if you make them, so be sure to post on instagram and tag them with #ohlovelyDIY so I can see!